Konica Minolta bizhub 224e is a multi-performer that suits every office from small to mid-size office like SME KE to large companies. It creates new work styles and navigates users for greater business success with "customizability", "multi-functionality to expand workflow" and "more comfortable office environment performance". Download Konica Minolta Bizhub 224e Driver For Windows 10 / 8.1 / 8 / 7 / Vista / XP. A highly multifunctional all in one (Print, Copy, Scan, and Fax) product. This printer delivers maximum print speeds up to 22 pages/minute (b/w A4) and 14 pages/minute (b/w A3), and print resolution 1800x600 dpi; 1,200 x 1,200 dpi. 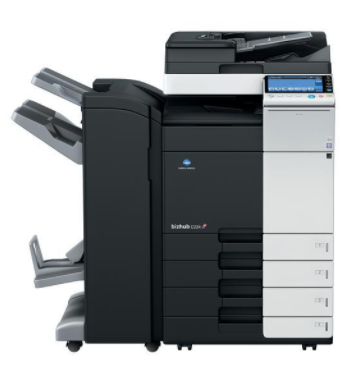 It has 600x600 dpi for Scan, Copy and Fax resolution.